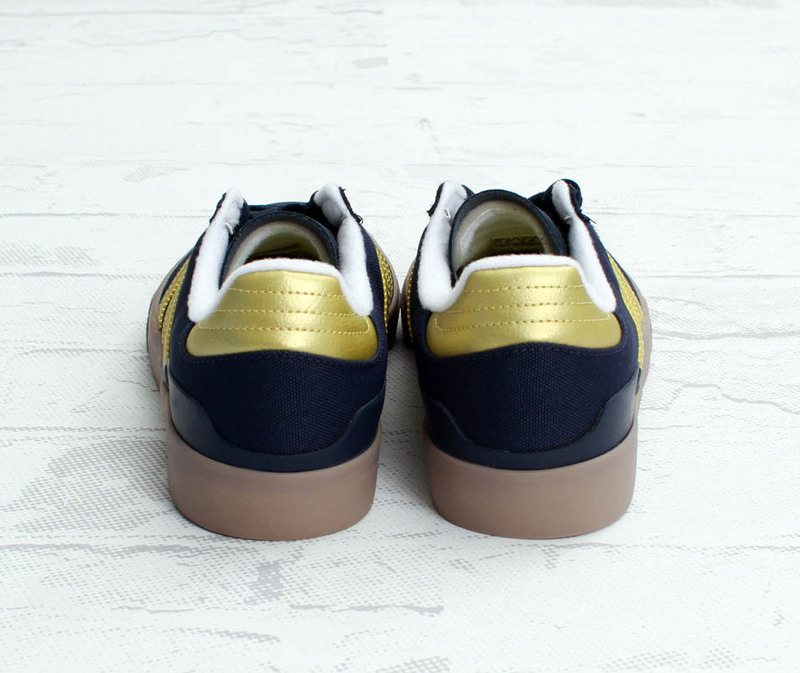 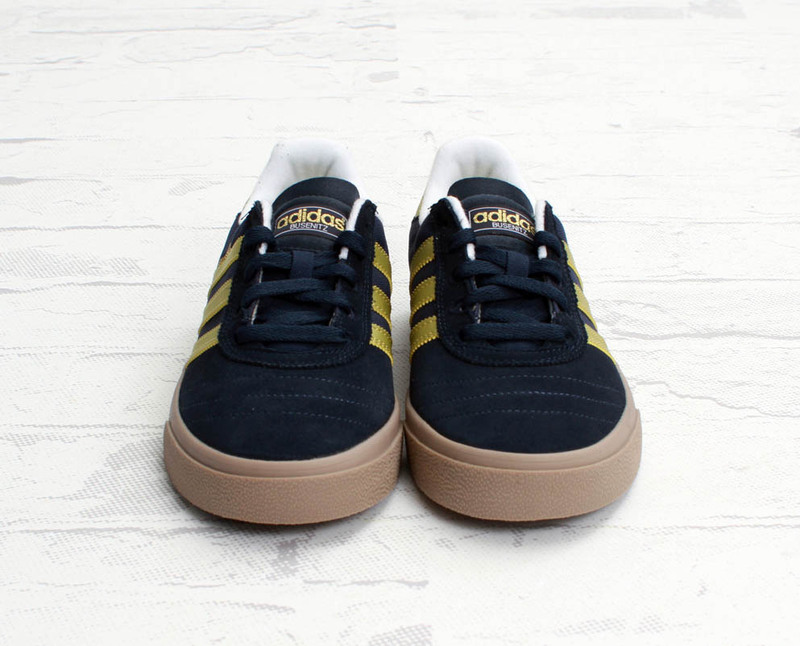 The vulcanized sole version of the Steve Busenitz signature shoe from adidas is now available in a great 'Navy/Metallic Gold' colorway. 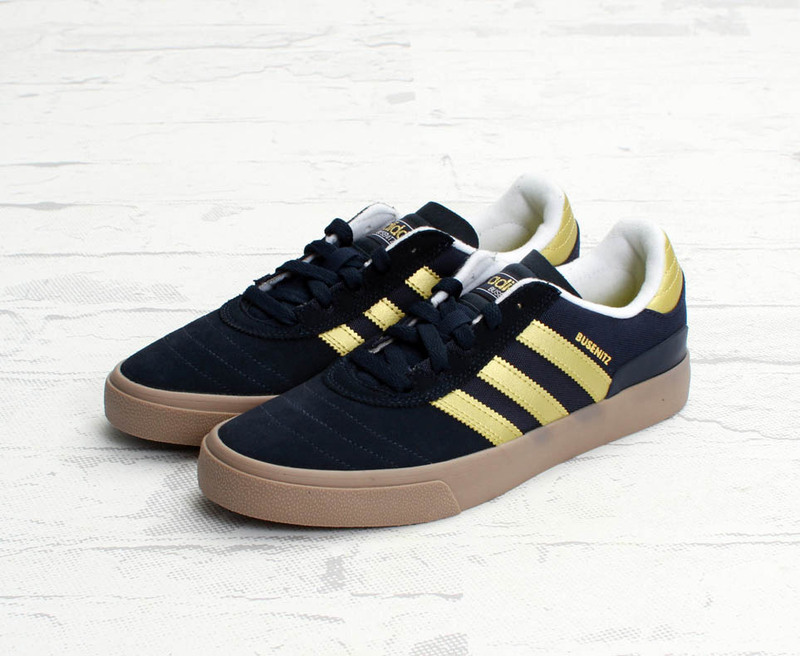 For fans of the original Busenitz Pro that prefer a vulcanized sole for more board feel, this Busenitz Vulc features a navy blue suede and canvas upper with metallic gold accents and a solid gum rubber sole. 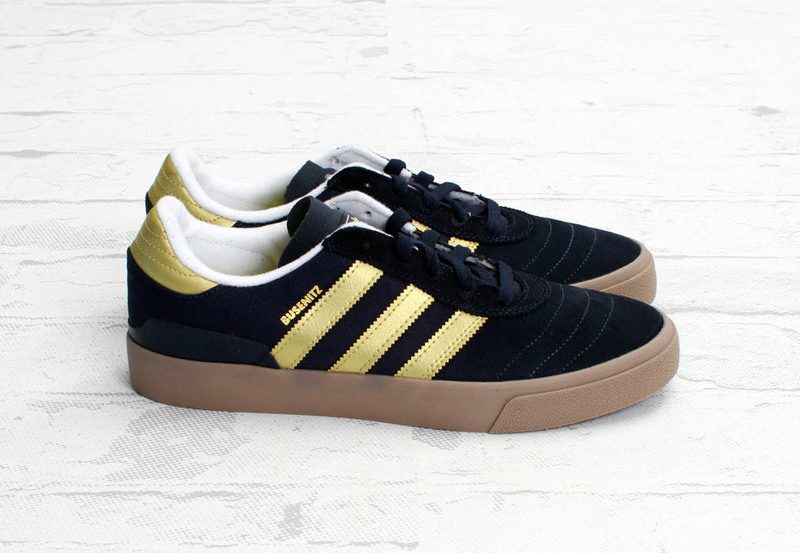 Grab them now at your local skateshop, or pick them up online from Concepts.